Lawyer, municipal official, MLA (1911-1914). Born in Lanark County, Ontario on 3 June 1869, son of James G. and Catherine Harvey, he moved to Winnipeg in 1875, where his father has held office as alderman and City Controller. He was educated at the Winnipeg Collegiate Institute and the Manitoba College, receiving a BA degree at the age of eighteen. He was called to Manitoba Bar and began a law practice at Winnipeg in 1890. He moved to Dauphin in 1896 where he continued to practice law as a barrister in the firm of Harvey & Bowman. He served for three years as Mayor of Dauphin (1907-1909), President of the Dauphin Board of Trade, and a member of executive of the Union of Manitoba Municipalities for two years. 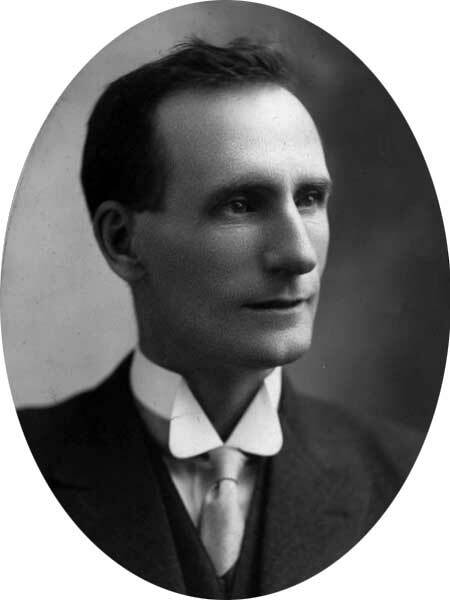 After being defeated as a Conservative candidate for the Dauphin constituency in the 1907 provincial general election, he was elected in 1910 and served a single term. On 4 October 1897, he married Ida Sarah Mills (1875-1965) of Portage la Prairie. They had three children: Howard Graham Harvey (1899-? ), James Borden Harvey (1905-? ), and Margaret Eleanor Harvey (1906-?). He was a member of the Adanac Club, AF & AM (Royal Arch), and IOOF. His recreations included football, lacrosse, and hockey. He died at Winnipeg on 12 November 1950 and was buried in St. John’s Cemetery. Obituary, Winnipeg Free Press, 14 November 1950, page 24. We thank Judith McAnanama for providing additional information used here.